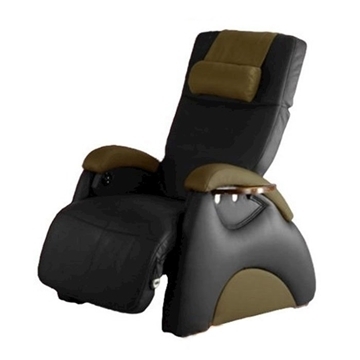 • 3D Full Body Massage Chair • Chemical, UV, and Impact Resistant. • Manicure trays, Foldable Trays Within Armrest. • Mood Therapy Light. The Fiori 8000 is our premier spa, with a sleek basin coupled with our state of the art massage system. Luxury, reliable, extremely comfortable. Customers will come back more often to enjoy the total relaxation of the Fiori 8000 luxury super relax and they will bring their friends along to try out the chair. Our innovative design allows the basin to be retracted into the massage chair for a reduced foot print and a stream lined look. Our advanced massage chair features intelligent Auto-scan technology that scans the unique curves and contours of your back for a truly customized deep tissue massage. A heated back rest helps to loosen tight muscles and melt the stress away. Isolated head, neck, shoulders, arms and thigh air pressure massage to invigorate tired and sore muscles. Integrated and retractable basin for reduced footprint and streamlined look. Intelligent Auto-scan for customized massage. Air pressure massage therapy to rejuvenate tired and sore muscles. Firm, Hand like massage mechanism for a deep comfortable massage. Pipeless jet system for quick and easy cleaning, magnetic jets optional. 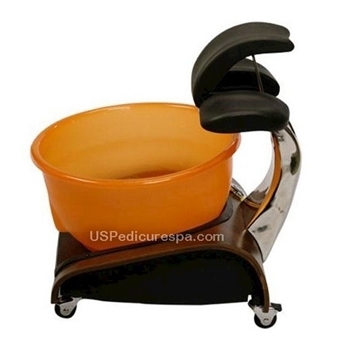 High gloss base and foot rest with a class bowl for easy cleaning between clients. Arm rest on sliding track to make getting in an out a breeze. 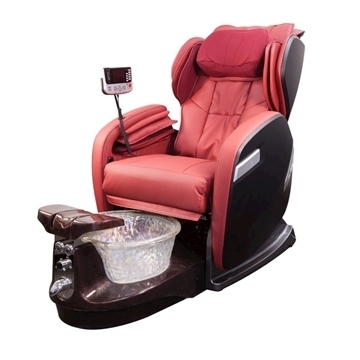 • Remote control move the basin all the way underneath the massage chair. • The operation of massage chair is controlled by a microcomputer that performs various intelligent massage method and combinations, like Kneading, Tapping, Clapping, Shiatsu, Rolling, Vibration and air massage. • All these method massage acupressure points accurately to effectively alleviate fatigue ,promote metabolism and improve blood circulation. 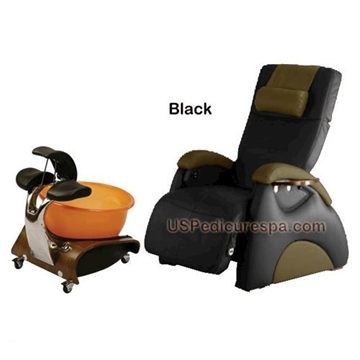 • The chair is equipped with five set of full body automatic programmer and three set of localized automatic programmers to thoroughly fulfill your various need. • The combination of air pressure for the Seat Pad and Leg as well as the Calf and vibration function can be set automatically for the more effective massage. • Basin move forward and backward to help achieve the perfect position. This chair is equipped with five sets of full body automatic programmers and three sets of localized automatic programmers to thoroughly fulfill rumor various needs. • The combination of air pressure for the Seat pad and Leg as well as the Calf and Vibration functions can be set automatically for more effective massage. • Spring-styled massage that is specially structured for the back is designed according to the curve of human body to provide a more effective. • The massage roller uses an inter locking gear to provide in-depth massage to the acupressure points on the back. • Design with power surge and pressure detector as well as automatic temperature sensor and auto shutdown mechanism for safety. • The operation is controlled by intelligent microprocessor for excellent performance and consistent quality. Dimensions – 58”L x 38”W x 57"H.
FOOTPRINT: 51" x 34" x 54" (BASIN IN) BASIN: 15" x 15.5" x 5.5". FOOTPRINT: 65" x 34" x 54" (BASIN OUT) BASIN: 15" x 15.5" x 5.5". Jet System – pipeless whirlpool, Magnetic drive. UL, ETL, UPC Approval to be provided only upon request. Additional fee may apply. Please contact us for more.